It’s August, and soon I’m back behind the steering wheel again. It’s been a long brake since our last race, and I have spent as much time as possible with the family. I have also been working, of course, and done some fun racing-related stuff like testing a 1996 Audi A4 Supertouring, testing and filming some other cool cars like the Audi R8, Audi RS6, Audi S4 and Audi S3 for Audi Norway, and made several films about trafic safety together with Continental tyres. Other than that I have been announcing all the F1-races, done a lot of trail biking and some karting. Now, I’m more than ready for some racing again. We have quite low ambitions for the first races this fall. 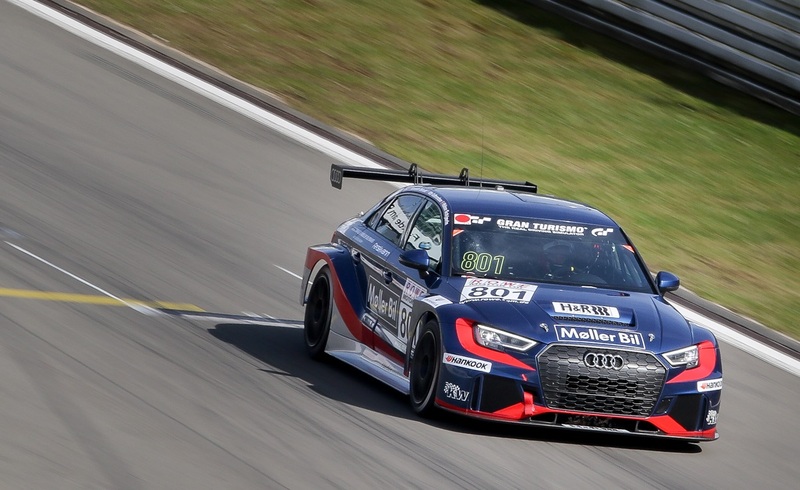 The Audi RS 3 LMS TCR-car is still new to us, and we are still in a learning-process. Most of our competitors have driven several races this summer, but for us this year is all about preparation and investment of the new car. Maybe we can fight for some top positions later in the year. We will do the VLN-races at the Nürburgring August 19th, September 2nd, September 23rd and October 21st.